I really wish I could be blogging more than I am this week. We go back to school on Monday and today was our open house. I feel incredibly blessed to have met most of my little ones today, but this week has been exhausting. I know my blog has been slow this week and I promise I will get back to blogging more as soon as I can. Today I spent the day cleaning and organizing my classroom. I can't wait until my room is completely put together. Here is what I got done today. It was a lot of work, but each year it gets easier. I wanted to share some tips that make it a little easier to set your room up. When you finish reading this post, check out the "What's Your Room Look Like?" linky party at Empowering Little Learners for more ideas. 1. Gather your supplies. Think about what things you will need as you set up your room. Put them in one place or wear an apron and put the little stuff in it. 2. Make a plan. I measure my room and furniture. I usually map out where I want the furniture on paper before I start moving it. Think about how you want to use the space as you make your plan. Make sure you allow adequate space for traffic flow. Think about visibility. Will you be able to see all of your students? 3. If your furniture goes against the walls, do your bulletin boards first. Otherwise move the furniture, then clean, and decorate last. Having your furniture in place will help you visualize how you want to decorate. Plus, if you run out of time at least the basic room set up is done and things are clean. 3. Ask for help! Get a friend or the custodian to help move large furniture with you. If I need to move stuff alone I like to use furniture glider pads or small carpet pads to move furniture. 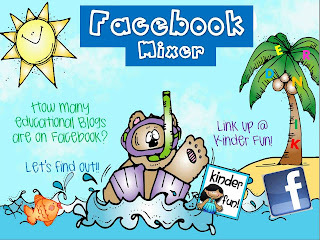 Kinder Fun is having a "Facebook Mixer" linky party. Come take a lookWho's on FacebookI'm there you'll seeI hope you'll like me! 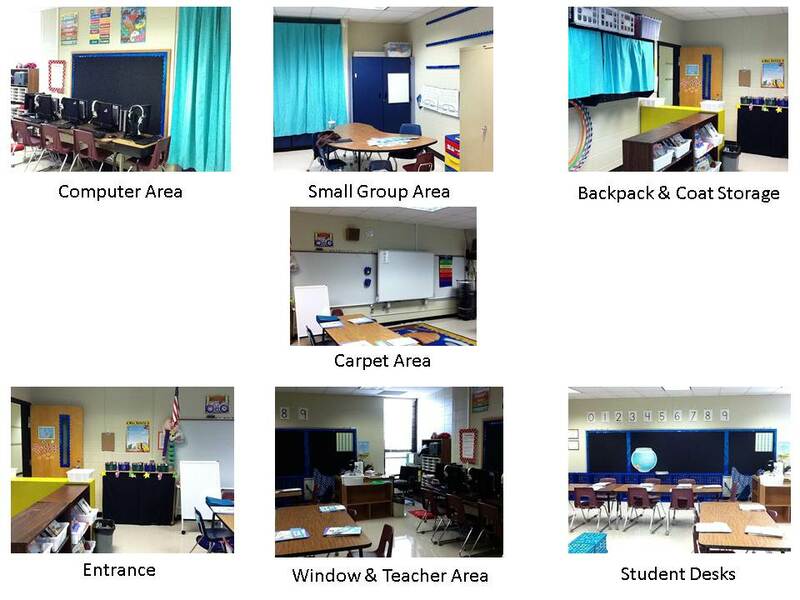 One of my all-time favorite blogs, Clutter-Free Classroom, is having a linky party on the resolutions teachers are making for the new school year. If you have some, link up and share them at her party. Just click here. I have two resolutions for this year. Since people are more likely to accomplish goals when they tell other people about them, I am going to share my resolutions with you. 1. I REALLY want to be more organized. I want to be more organized at home and at work. Life just goes smoother when I am organized. I have spent a few days at school working on decluttering and organizing my materials, but I know I will need to continue working on it every day to get to the point where I feel really organized. I have been using Fly Lady to help me establish routines and organization. 2. I've been a blog stalker for a while and recently started working on my blog and TPT store. I really want to grow them both. I'd love to see them take off this year. I've been using Teaching Blog Traffic School to help me learn how to get it off the ground and I've used the video tutorials at Ladybug's Teacher Files to help me tweak my site. Have you heard of Pinterest? Pinterest is basically an online bulletin board where you can save ideas from websites in a visual format. Michelle's Math in the Middle is having a Pinterest Party. You can browse the blogs and look for the Follow Me on Pinterest buttons too. What a great way to see what ideas other teachers are gathering and find some new blogs too! Saturday Share & Fabulous Fall Freebie Linky Party! It's that time of year when I spend hours gathering ideas and activities for the Fall. Since I know I am not the only one searching for these ideas, I thought it would be fun to have a Fabulous Fall Freebie Linky Party. So please visit the blogs below and check out what other teachers are doing this Fall. If you are a blogger please link up below. The only requirements are that you share at least one freebie that you use with your class during the Fall season. I can't wait to see your ideas. I am going to kick of this linky party by sharing one of my favorite activities for the beginning of the year. I want my students to embrace their differences and celebrate their strengths. So, I always read a related book. We talk about how everyone has a special strengths and skills that make them special. This year I am going to extend it by having the kids complete a bubble map and drawing, which will be used to complete a short writing activity. 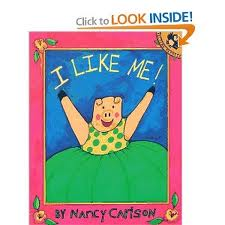 The students will have a chance to tell the class about themselves and I will post their writing in the hall. You can grab the file I use for the bubble map and writing assignment here. This post has now been added to Teach Blog Addicts Ultimate Linky Party. Stop by and see some other great linky parties.